BULGARIA is an extremely attractive international center for treatment, recreation and tourism with its numerous resorts, favourable climate, over 1600 hydro mineral springs. In the uniqueness, variety and abundance of hydrothermal, bioclimatic, mud treatment, sea cure, and other health resources, Bulgaria ranks among the first in Europe. Bulgarian traditions in climato-balneological treatment date back to old times. are known for their greatly varied chemical composition and, respectively, their mineralization and type of dissolved mineral salts, curative gases and biologically active micro components. Scientists agree that all kinds of known mineral waters around the world find their counterpart in Bulgaria. The Firth Mud Sources, along the Black Sea coast, the Curative Peat, Spring Curative Mud and Bentonite Clays possess a particularly great potential in the treatment of many different diseases. Bulgaria occupies one of the first places in the world with the exceptional diversity of Medicinal Herbs and the excellent curative properties of its Apian Products. This enormous wealth of natural factors, combined with modern hotels and spa facilities, provide excellent possibilities for the year-round effective treatment of the most widespread diseases of our times and truly make Bulgaria a Country of Health. are located in three main region:South Bulgaria, including Rila, Rhodopes and Pirin mountains, Sredna Gora and the Balkan Mountain Range; North Bulgaria - the surroundings of Montana, Vidin and Pleven; the northern part of the Black Sea Coast. 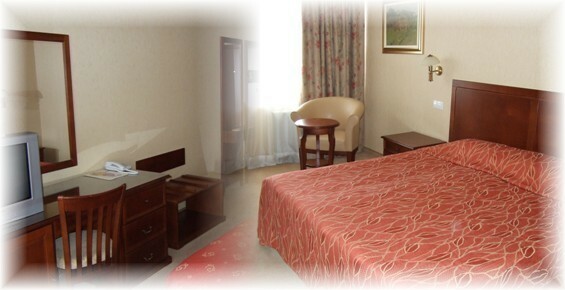 We should also mention the surroundings of Sofia which are a rich area numbering more than forty hydrothermal springs. The Black Sea coast is a sub region of the continental Mediterranean climatic region. Neither the harsh climatic conditions of the northern European coasts, nor the scorching heat of the Mediterranean are characteristic of it. 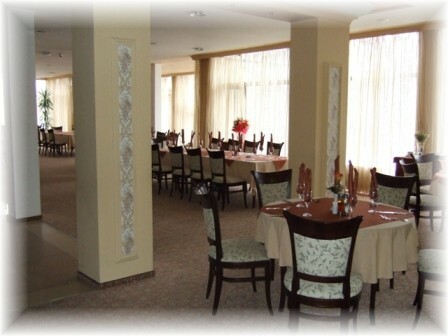 The Bulgarian climatic mountain resorts also offer diverse prophylactic and therapeutic possibilities. The lovely scenery, clean air, short-wave ultraviolet radiation, negative air ionization, particularly close to mountain waterfalls, as well as the many mineral springs, different in temperature and composition, are their major assets. Internationally known climate therapy and health resort. Situated at an altitude of 224 m in the valley of a river, at the foot of the slopes of Pirin Mountain, the town of Sandanski is famous for the beauty of its scenery and a wealth of resources for spa and climatic treatment. This is the warmest and sunniest town in Bulgaria with the least temperature variations throughout the year. Without exaggeration the climate of Sandanski can be described as unique. Throughout the year, air temperatures are higher than anywhere else in the country.The winter is mild and short, and the autumn - long and warm. The relative air humidity is low (66 per cent). Sandanski has the lowest annual rainfall in Bulgaria and almost no foggy days. The air is remarkably clean and pollution free. Apart from its natural beauty, lush vegetation and remarkably healthy climate, the resort also features a multitude of mineral springs. The mineral waters are clear, colourless, odourless with a pleasant taste. This remarkable combination of balmy, health-giving weather and curative mineral waters makes Sandanski the perfect place for modern science-based climatotherapy, spa treatment, rehabilitation, primary and secondary prophylactics and recreation. Specialized in the treatment of upper respiratory tract and lung diseases of non-tuberculosis type and of inflammation degenerative diseases of the joints. 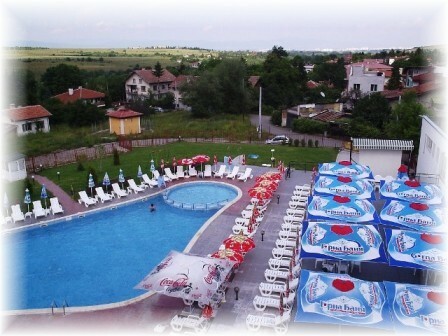 Bankya is world-wide known health resort. It is situated in the beautiful valley on the slopes of the Lyulin mountain, 17 km far from Sofia at an altitude of 630-640 m.
Mineral waters-slightly mineralized, hypothermal, clear, colourless, with a temperature of approx. 37 C and very tasty. The resort climate is temperate continental. The summer is fresh, the autumn warm and sunny and the winter moderately cold. These climatic conditions are favourable both for year-round spa treatment, as well as for general prophylactics. Bankya developed as resort for rehabilitation and treatment of cardio-vascular diseases, nervous system disturbances, and metabolic disturbances. An operating complex for recuperation, prophylactics and fitness of rheumatism of children was found. The specialists are satisfied with the established durable positive results and favourable curative effect of the treatment of cerebral palsy of children, neurosis of adults, etc.. Annually over 140 000 natives and foreigners visit Bankya. Successfully are applied pre- and post- operative rehabilitation of children suffering from heart diseases. The balneomedical building is one of the most impressive buildings in the resort. This is due to its unique architecture and partly to the modern medical equipment of the dozens of diagnostical and remedial cabinets, serving thousands of people every day. Most attractive is the remedial basin. The first physio-prophylactical ground in the country is here. The well-known spa of Augusta (the ancient name of Hissar) is situated in the centre of Bulgaria, in the southern folds of Sredna Gora Mountain, 42 km north of Plovdiv (the second biggest town in the country) and 160 km east of Sofia (the capital of Bulgaria), close to the famous Valley of Roses. Hissar today is a modern spa resort whose greatest asset consists in 22 mineral springs with a total debit of 4000 l / min. and a temperature of 37-52 C, with a total exploitation flow of about 2800 l / min.. The mineral water is light, clear, colourless, flavourless and with over 20 microelements. The water is mainly indicated for treatment of diseases of the kidneys and secretory system ( kidney stone, pyelonephritis, chronic nephritis and chronic renal insufficiency), liver and gall bladder, the digestive system ( duodenal ulcers, chronic gastritis, colitis) and pancreas. Special comprehensive balneotherapy is also applied in a number of diseases of the locomotory system, the endocrine system and the metabolism. The climate is moderate continental with mild and warm winter. Spring comes early, summer is temperately hot with an average month temperature of 22 C. Autumn is warm and long-lasting. The average annual humidity is moderate (70 %). Foggy weather is an exception. Sunny days - 280 per year. The Health Resort in Pavel Banya has a solid reputation as one of the leading facilities in the treatment and rehabilitation of patients with orthopedic-traumatological injuries of the locomotory system and disease of the peripheral and central nervous system. Nearly 50-60% of the patients here are with injuries of the intervertebral disc, and it is with them that the highest effectiveness is achieved from rehabilitation. The basic treatment procedure with the disc disease is the underwater extension . The most serious injuries of the spinal cord with heavy paralyses also undergo a significant improvement. 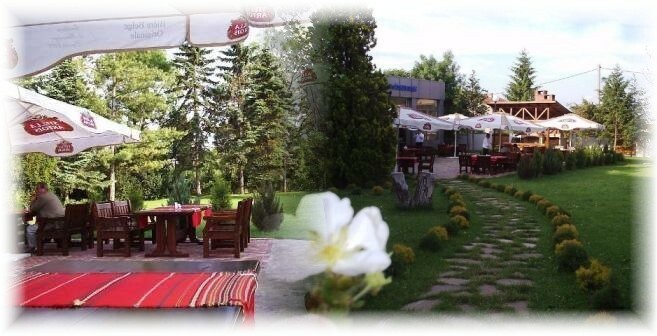 Velingrad is the most beautiful and most famous among the Bulgarian balneological resorts. Internationally known climate therapy and health resort. It lies in the most attractive part of the Rhodopean Mountains in Southern Bulgaria. There are 70 sources of mineral water with curative and preventive properties. Together with the numerous mineral waters Velingrad takes pride in another natural phenomenon as well - the Kleptuza. This is the biggest Karst spring in Bulgaria with debit of 1200 litres of ice-cold water per second. The mineral waters (from springs and wells) vary considerably in temperature, mineralization, radon, silicic acid and fluorine content, and are suitable for treatment of a wide range of diseases. 9000 litres of water per minute spring from the five thermal and mineral deposits. The treatment of non-specific diseases of the respiratory tract is particularly successful. Considerable experience has been accumulated in the efficient treatment of diseases of the locomotive system, nervous diseases and gynecological disorders.